Two ice floes on the Latvian Coast have broken off into the Gulf of Riga, taking more than 220 people with them. 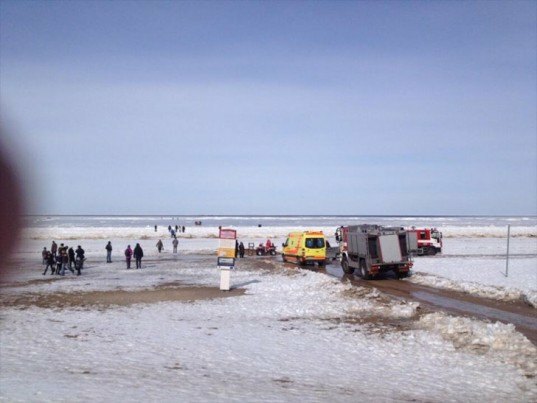 Rescuers scooped up 181 victims by boat from the larger flow that broke off near Riga, while 42 others were rescued by helicopter from a smaller floe near Jurmala. The victims, who were fishing off the ice floes, were whisked away when warmer temperatures and high winds caused the ice to crack and float away from the mainland. A massive rescue mission has helped to recover the more than 220 people that were propelled away from shore near the beaches of Vakarbulli and Majori. The icy shores were heavily foot trafficked today, with many locals flocking to the beach for fishing for the Good Friday public holiday at Vakabulli. Once the midday sun set in and high winds kicks up bigger waves, a stretch of the ice cracked, sending the floes into the waters. A few miles away, another one broke at Majori, drifting almost 2.5 miles from the shore, taking 41 people with it. Victims stranded on the ice floes were generally calm, and contacted rescuers immediately. Emergency boats and helicopters were on the scene within 30 minutes, rescuing nearly everyone in one go, with no reported injuries. 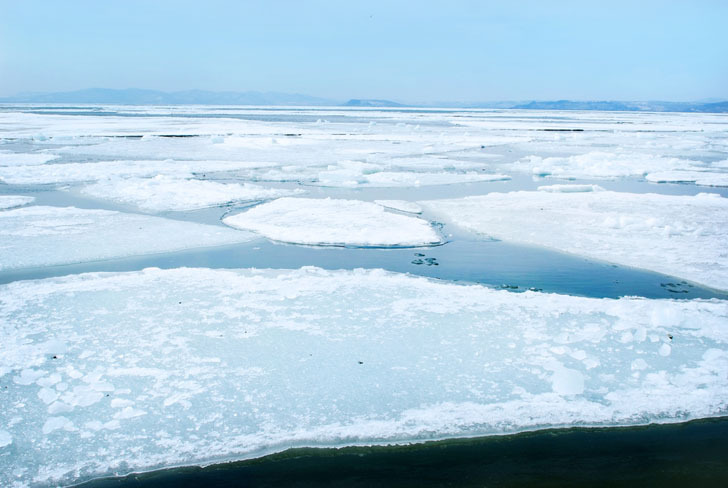 Lativian rescue service warned beachgoers of the risks of breaking ice floes earlier this week, which is common during spring thaw.